It is of tremendous help to an artist being organised and updated in all business affairs and there is a range of business managing softwares for artists on the market. The advantage of using a managing software is obvious, you don't need to panic when an opportunity suddenly arrives and in times you'll need an artist statement or any other information quickly about you or your artwork you have it safe in one place and ready for access. We have not tested any of the programs, so can only deliver information provided by the distributor. 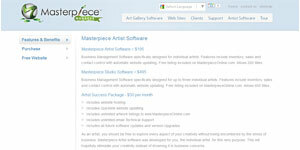 If you are an artists owing a managing business software program, please show your care and share your experience with other creatives by leaving a comment below, for the program you use. We thank you in advance for taking the time to share with others. ArtSystems took 17 years of collaborateing with art world leaders to create and refine the ultimate tool for managing art businesses. It is one of the more expensive programs, yet also one of the most powerful, efficient, and comprehensive business and single-artist catalogue management software in the world. Since 1996 Masterpiece provides and is recognised as a most powerful and comprehensive solution to the special needs of an art business. In the last 15 years Masterpiece listened to the needs of art gallery owners and artists and gathering information specifically to what actually works and what does not. 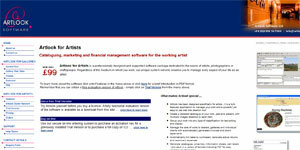 The result addresses today the four main areas of opportunity that can make an art business a true financial success. 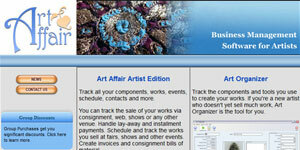 You can track the sale of your works via consignment, web, shows or any other venue. Handle lay-away and installment payments. Schedule and track the works you sell at fairs, shows and other events. Create invoices and consignment bills of material. Automatic calculation of costs, suggested sale price, time costs and profit. Record information about sales, shows, classes and competitions that you wish to attend.With Charts and reports. Free 30 days Trial Version available. 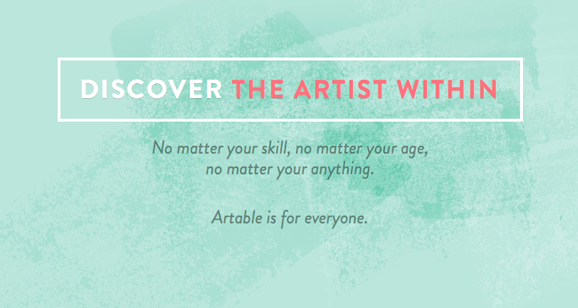 Artlook has been designed specifically for artists to manag work and easy to use web site creation tool. Group your work into any type of classification for fast sorting and display. Manage the sale of works to dealers, galleries and individual clients with automatically generated invoices and client statements. Automatically link sales to purchasers, calculate actual returns and record any expenses. Generate catalogues, price lists, information sheets, wall labels and save in a variety of formats including PDF for easy emailing of information and so on. Free Trial Version available. 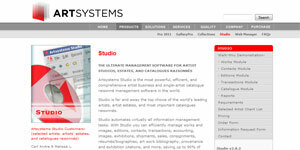 ArtStacks is the oldest gallery management software company in the marketplace today. Developed as a collaboration between a gallery owner and software programmer at Apple, the program takes advantage of both ease of use and the design aesthetics of Apple. ArtStacks runs only on Apple computers. In the business of art, when it comes to both hardware and software,looks certainly count. 20 years of listening to clients, the latest version of ArtStacks is both elegant and very efficient. ArtStacks serves the business needs of art galleries, private dealers, artists, private and corporate collections, and art consultants. ​This program is one of the cheapest on the market and by no means lacking. It is in fact more visually pleasing than even dearer programs. ​The GYST software comes in two versions, as a basic program for emerging artist's and as a Pro version for established artists. GYST is a database program that helps to keep track of an artist's career, the cataloging of artwork, sales, proposals, mailing lists, etc. And it also includes loads of information about every business issue an artist needs to know.